It was then time to snap away…. 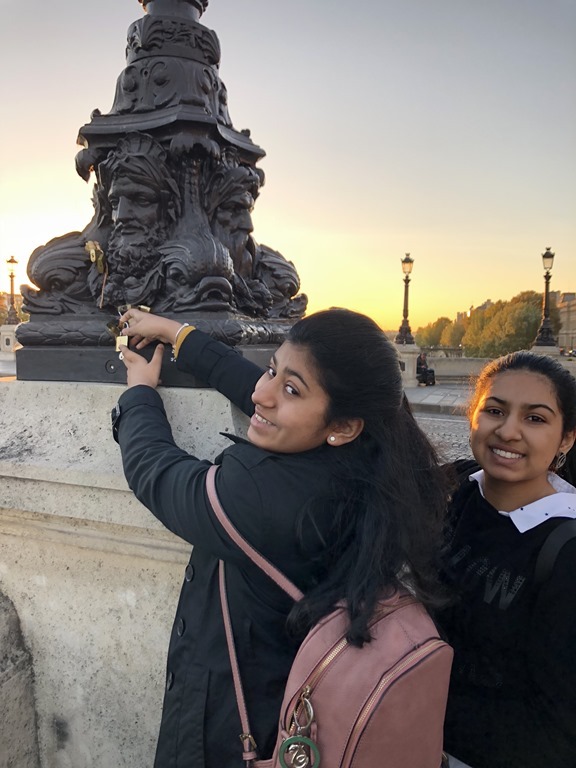 Enough pics with Eiffel, next a quick stop near the Pont Alexandre III bridge. Time to head back to the hotel and get some much needed breaky! We headed to the cafe opposite La Perla Italian, turned out to be not the best breakfast we have had . Got back to the hotel, kids did not want to head out at all now, and next door Dian and Aaria were in a similar state, left all 4 of them in our room and the 4 of us headed to a kitchen store around the block from our hotel. Not sure who, but someone had recommended this place to Meeta for great cooking things. It was quite an old store but it had anything and everything of cooking. 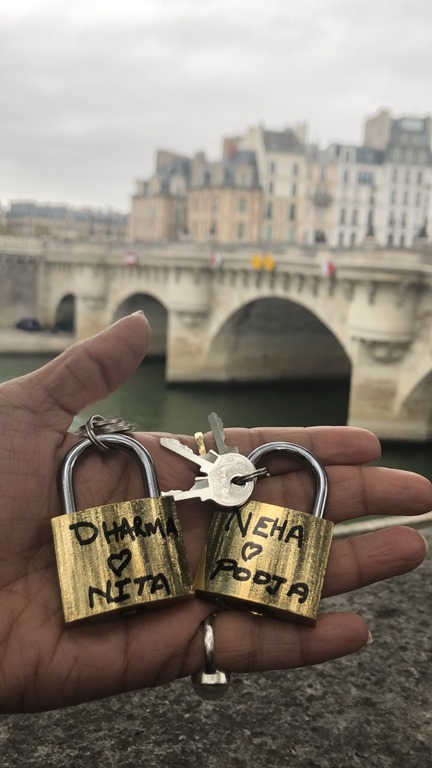 Nita & Meeta both got a few things from there. Back at the hotel, kids were having a ball and did not want to go out, decided to leave them there and get some Pizza, me and Vik headed to the Pizza Hut behind the hotel and delivered that to the room! 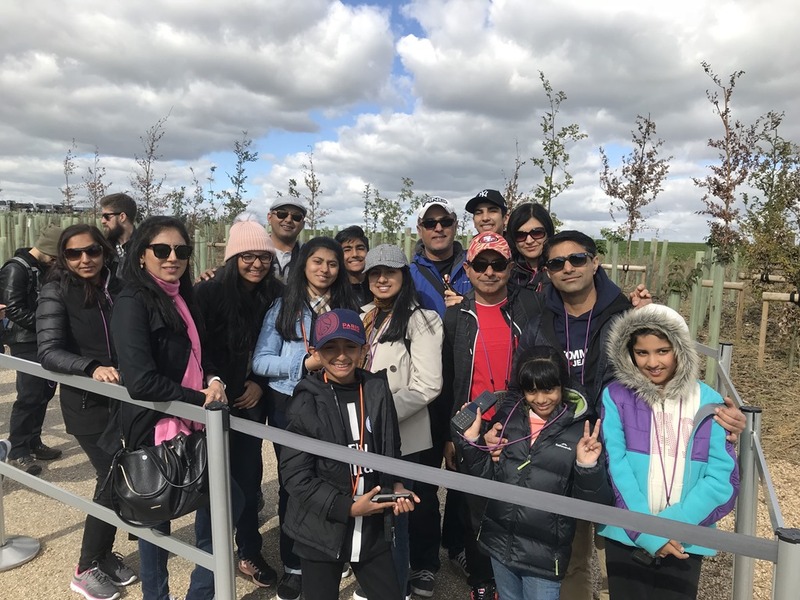 Kids all sorted, time for us to head out, Nita and I headed for the last time to Champs-Elysees, Vik and Meeta went to the Opera area. Roamed a bit in Champs-Elysees, Nita made the most of the last day there! Time for a tea break, Stopped by at the 86Champs – L’Occitane x Pierre Hermé, it was a Skin care place and a great coffee shop! Highly recommended, these place has some amazing desserts. Staff preparing a dessert in front of us, unfortunately it was not ours!! Bye Bye Champs-Elysees, it was great visiting you. Now back to the hotel. Kids were still having a ball when we got back, no problems there! Time to freshen up and head out soon, we were going to walk to the bridges to put our padlocks and then a 20 minute walk to Bara-naan Indian restaurant. 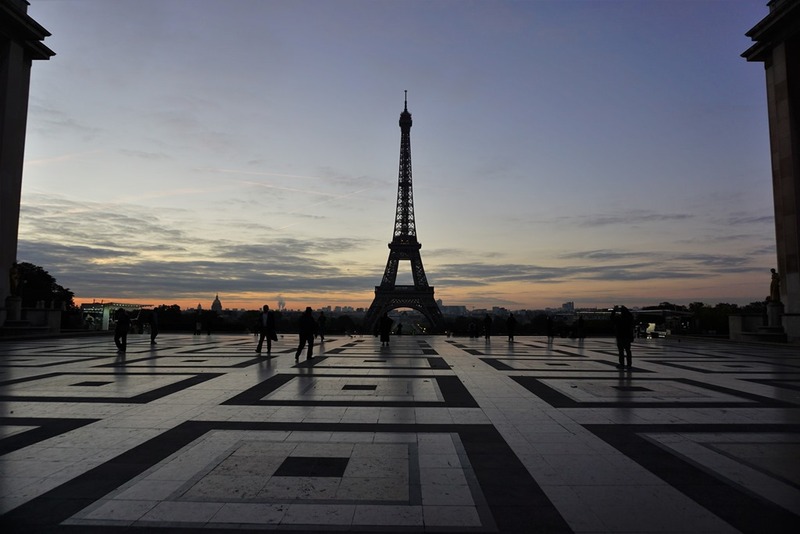 Leaving a piece of us in Paris! Got to the right address but could not see Bara-naan, looked around and finally saw the small sign saying Bara-naan! 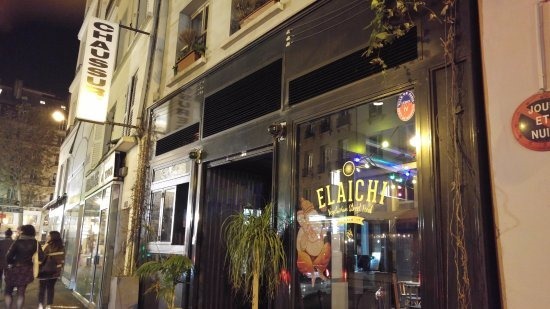 In large letters it had “Elaichi”! very confusing. 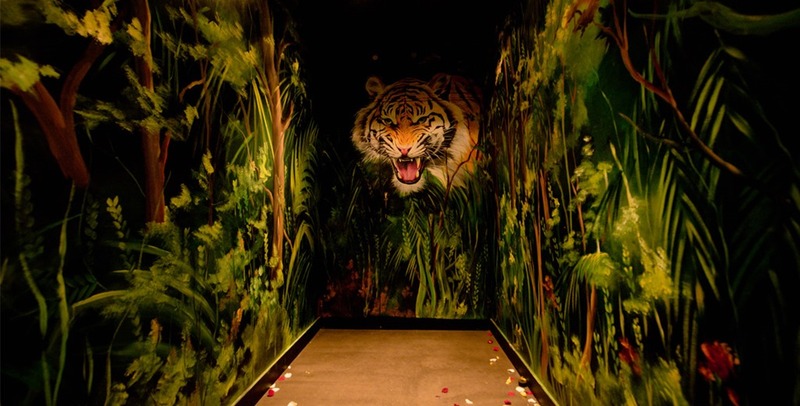 The place did not look much from the outside, and stepping in, it was just a small takeaway joint with a Tiger art work on the back wall. It was not till you got to the wall that you realise there is a hidden door leading you into the Bara-naan cocktail bar. Stepping inside the cocktail bar had a great buzz to it, and was packed!! Not sure how they would accommodate the 16 of us … I had booked this place 2 months back. The place did not really look kids friendly, weird the guys at the time of booking said all good with kids??? Me and Doc were the first ones there, talked to the guys at the bar and they had no booking for us!! They brought out their ipad to view all their facebook bookings and behold, my booking was there but they had totally missed it . They arranged three high tables with 8 chairs, by this time Balia and Vik also arrived, it was getting a bit chaotic now. with most of the adults standing, we decided to atleast order some drinks and entrees, everyone was hungry. By the time we ordered, the staff had organised a table of 8 for the kids, atleast they were sorted. Food arrived on their table and when Meeta and Tina went to serve them, they found the food to be COLD, also the naan entrees were not that great, chewy. Food that got to our table was also the same and really tasteless, we were trying to go with the flow but the food quality was just not up to it. Decided to head out and not stay here any longer, no one was really enjoying it. I told the guys the issues with the food and that we would only play for the drinks we consumed as the food was not up to standard. On their side, they were very apologetic and did not argue with that at all, good on them for good customer service. On to the streets, we called the Thai place (Khao Thai) that I had wanted to go for lunch but was closed, they could accommodate 16, so off to that now. Called our UBERS and were on the way. Got to the Khao Thai and that place was also quite full but they did squeeze us in after a 5 minute wait. Three tables were organised, 1 for kids, 1 for ladies and 1 for the guys! Food was great here, just what we needed. Finished off then a leisurely stroll back to the hotel. Lots of good laughs along the way, and then a long chit chat outside the entrance to the hotel. This was the last night for us, tomorrow early morning (4:30am) mine and Vik’s family were going to the airport, end of holidays!! Said our farewells and then it was time to hit the bed for some much needed sleep before the long day tomorrow. 5th Oct Flight back home . 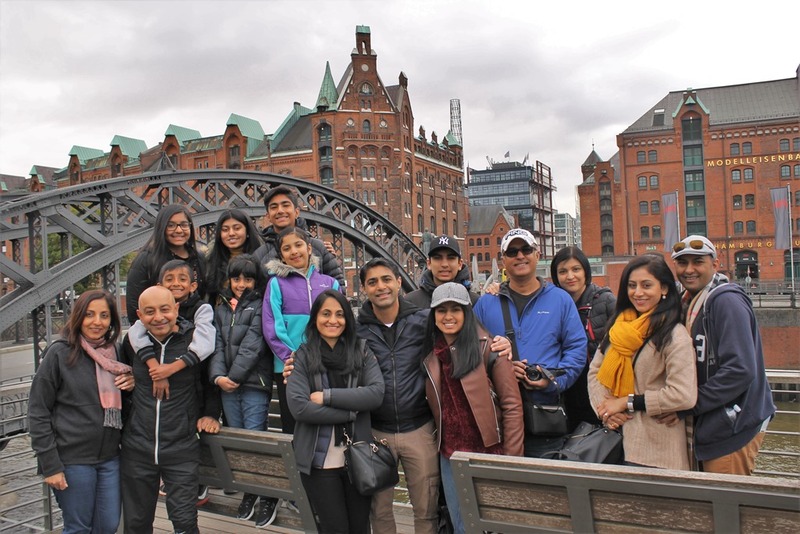 It was like we had only just slept, the alarm had us all up and then it was a rush to get showered, kids organised, bags locked, belongings checked…. done… now to checkout and into our waiting transport with Vik and family. Goodbye Novotel Les Halles, you were amazing, next time we would be staying at the same place when in Paris! Ride to Airport was just over 40 minutes. We got to the British Airways check in area and it was closed!! It would open 1.5 hours before the flight, and here we were 2.5 hours ahead. Looking around there were no benches or seats, walked around and a bit further up we did locate some seats where we all waited. Finally checkin opened and then it was the pathetic speed, service in Paris for the BA flights was so so so slow!! It was another 40 minutes in the queue and we only had about 30 minutes left when we got checked in, then a mad dash to the aircraft. Pity that, as the airside area of the airport was brilliant but all we could do was run past!! Thanks British Airways for not allowing us to spend money at the airport! Flight to Heathrow was quick, at Heathrow we had about 3 hours of transit, time to get some breaky and I was also able to claim my tax refunds on all the shopping done in Paris. Interesting with their tax refund system, you are supposed to claim it at the airport where you are leaving the EU zone! Heathrow was it! It was then the 13 hour leg to KL, another 3 hours transit and then the final 8 hours to Brisbane. Bhavik had come to collect us from the airport, it was about 9:45 pm when we came out , first direct to mums place for some dinner, mum had cooked Neha and Pooja’s favourite, Butter chicken. A good dinner and then it was time to go home & crash and let the jet-leg hit us. It had been a great holiday made more memorable by the amazing company we had! 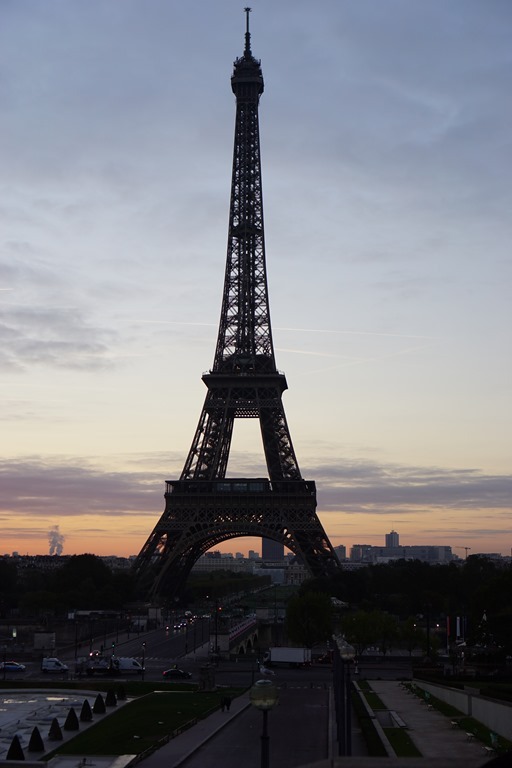 Till next time, “Au revoir” (goodbye in French). Plan today was a leisurely stroll to Louvre Museum, we had tickets for 1:30pm entry. First, down to the mall near our hotel, and to the Pandora store, Pooja was on a mission to collect charms from each city. Pooja sorted, headed to Louvre, we only had around an hour before our timed entry. Getting there, Doc and Vik were already in the queue, joined in with them (Balia did not have the same tickets he was going at another time). Place was busy but having a scheduled time is great, line does move fairly quickly. The gold art work inside the iconic pyramid is quite interesting and turned out almost 3D like in my pic! made our way down and then into the museum. Finished off the Louvre museum and all then decided to head to lunch across the river, close to where we had Indian yesterday, we had noted two good Thai and Mexican places, I wanted Thai and Vik/Doc wanted Mexican, lucky they both were almost next to each other! Time to walk…. lots of walking in Paris! Got to the restaurants, unfortunately Thai was closed, so it was by default Mexican for us @ Fajitas. It was a good thing that Thai was closed, an amazing Mexican restaurant this was, small but the best food! Nice spicy varieties. After the good feed, we headed to Notre Dame, that was still outstanding for us, Doc and Vik took another route from there. Notre Dame was only a 10 minute walk away and queues there were not as bad as the weekend. It was a surreal experience in Notre Dame, very peaceful, we all lit candles and just sat around, doing nothing but simply being at peace. What an experience. Pooja was a bit tired and did not want to do any more walking, time for them to rest at the hotel, Nita and I headed to the OPERA shopping area. Aaria was also bored that afternoon and was happy to come into our room and play with Pooja, kids sorted! Did a fair bit of walking around the OPERA area, and Nita did find lots of stores that interested her! Decided to walk back rather than UBER, lots to see. 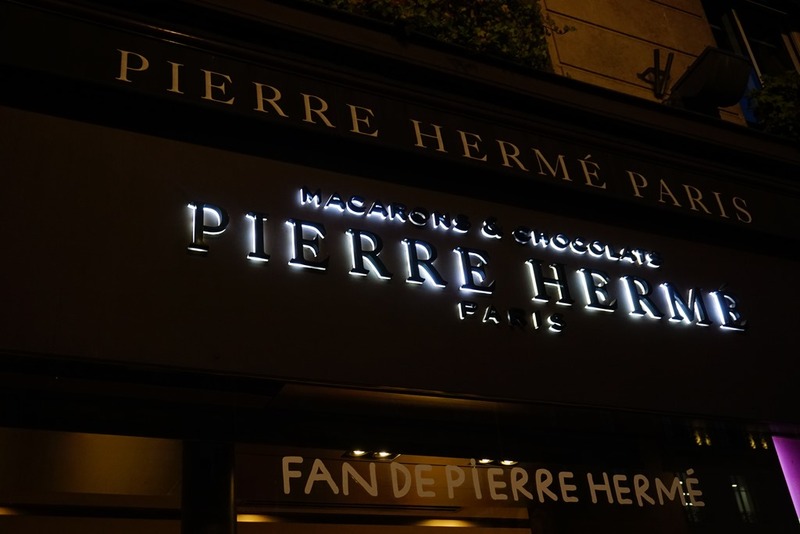 Along the way stopped by at the Pierre Herme Macarons – these were amazing! It is so true, you do get to see soo much more if you are on foot rather than in the car! Lots to see in Paris. Got a side visit to the Louvre area on the way back to the hotel, it is different at night! Back at the hotel, it was a quick freshen up and then to catch-up with the entire gang at the famous Le Perla Italian restaurant (this would be our third visit). This time we were all seated upstairs, maybe it was the size of the group! As always the food here was super and the dessert were wow! Dinner done, back to the hotel, tomorrow morning was an early start for us, I wanted to get to Trocadero to get some pics of Neha & Pooja with Eiffel, after seeing our pics, both had changed their minds and were not ok to wake up early for the shoot. End of cruise today, disembarkment was around 9:30am. Got my girls organised, bags packed, we vacated our room and were out with our bags to the Sports Bar. We should have done this more often, the place was mostly empty unlike the Buffet, where finding a table was always a challenge. The Sports bar whilst not a buffet restaurant had a good selection of pastries, sandwiches and espresso ofcourse! Relaxed there with a few rounds of espresso, it was about an hour before the other families came by. All headed to the meeting point awaiting our turn to disembark. Out of the ship, baggage collected and on to our private bus transfer, yep, it was again a massive 54 seater coach for the 16 of us!! Drive back from La Havre was uneventful, wet weather did not help the mood. I guess it was a bit depressing having the cruise all finished . Stopped for a coffee break at an interesting road house, made entirely of containers! Got to our hotel, Novotel Les Halles around 2:30pm, and by 3pm we were all out again, heading to La Chappell the indian district. We all needed a good spicy curry! It was a short 15 minute walk, and the weather was nice and cold, perfect for walking! We ended up at the Kashmir Indian restaurant, and got lucky with a table for 16, it was in their basement, which did feel a bit claustrophobic but a few beers eased that quickly. Service was super slow (they were not expecting 16 to just rock up) but the food was awwww so yummm…. Highly recommended. Late lunch done, now back to the hotel and relax for the evening’s Eiffel viewing from the top and Buddha Bar dinner. Along the way, all bought some mini padlocks that we were going to put on the bridge …somewhere! Back at the hotel, it was a time to chillax a bit. The Eiffel viewing was at 7:30, we decided to leave around 6pm, allowing some extra time. It was the right move, traffic was heavy. Getting there, we were next to Rue de Universite, time to get some pics of my girls from this awesome street! We were lucky to get some good snaps, started grizzling soon after, and it was getting dark, time to head through security and into the secure Eiffel area, located Balia and family, they were already there, Vik and Doc were still on the way! We queued up and headed up – could not wait as our scheduled time was now. The weather unfortunately was not in our favour, light rain persisted and the winds up on the Eiffel did make it very very cold! Add to that the low cloud cover and it was not the best mix for viewing. It had been a very cold & wet viewing experience, we were unlucky with the weather but had made the most of it. Time to head down and make our way to Buddha Bar – Doc had booked dinner for all there. Balia and I headed out, the other two were almost finishing the top viewing. 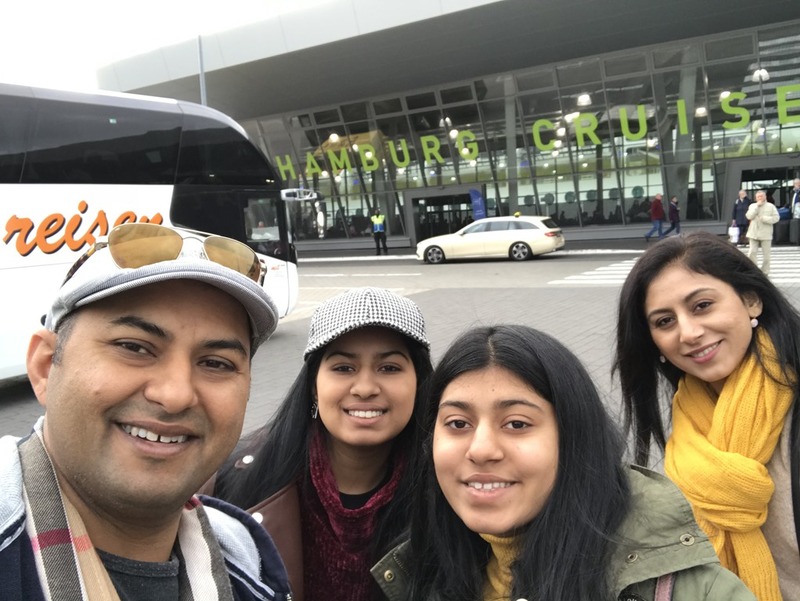 Arrived at our destination, Neha & Pooja were looking forward to this place, we had an amazing experiencing in Dubai, were hoping for the same here! The ambience inside was amazing but a group of 16 is a bit hard in such an environment. Food was not as good as what we had in Dubai, this was a bit of a let down. Night done, time to get an UBER to head back to the hotel, everyone was tired from the long day. Tomorrow was the Louvre Museum. 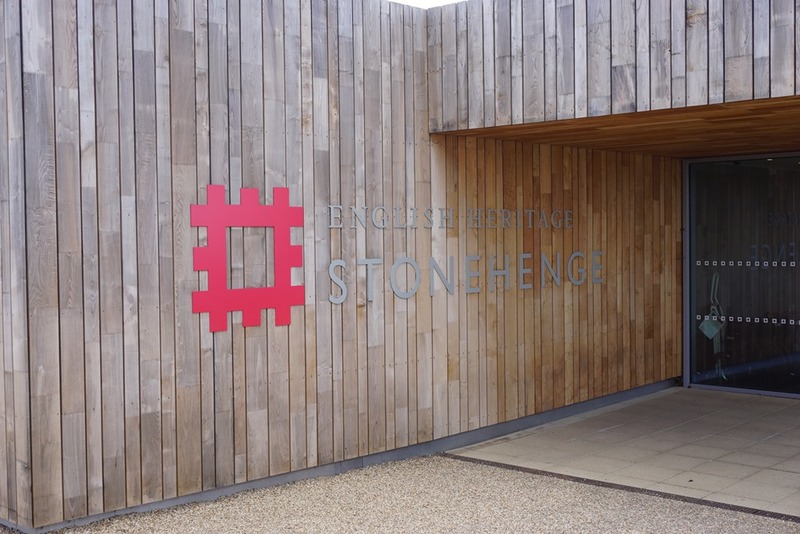 Last excursion on this cruise today, a visit to the Stonehenge. 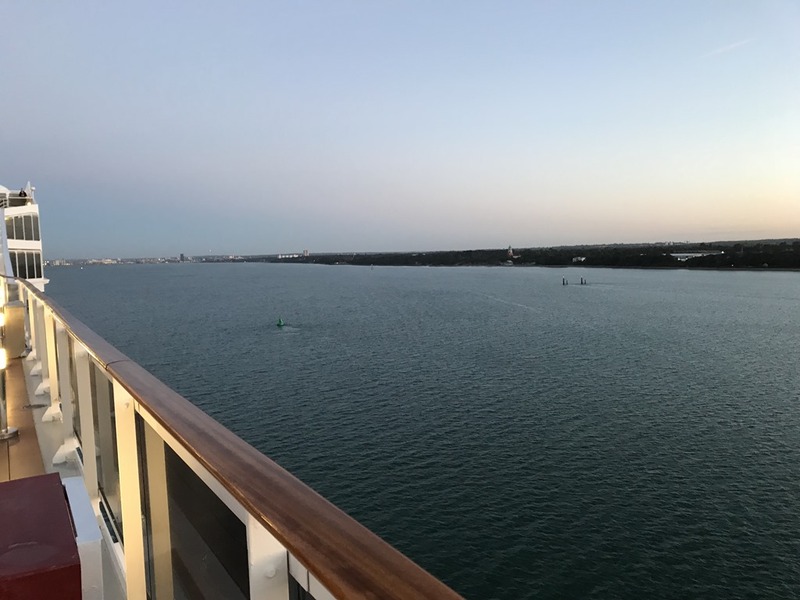 Was up early and able to catch the morning fresh air and see the cruise make its way to the Southampton port. Breakfast done, we were all down at the meeting point and this time around all made it on the same excursion bus! 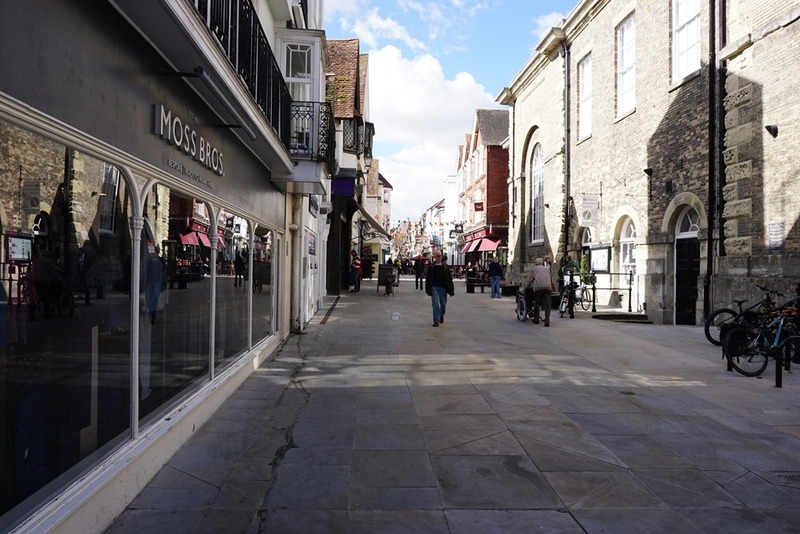 It was then an hour’s ride to the our first stop of Salisbury. A small town, first off a visit to the Salisbury Cathedral after which we had approx 2 hours to ourselves to roam about. Viewing done from the outside, from here we had time to ourselves to roam about and also grab some lunch. PCB and family headed to view the Cathedral from inside, the rest of us decided to head to the city centre. Passed a fudge shop which had the most amazing selection of fudge displayed, this place is a must visit! “Roly’s Fudge Pantry”. 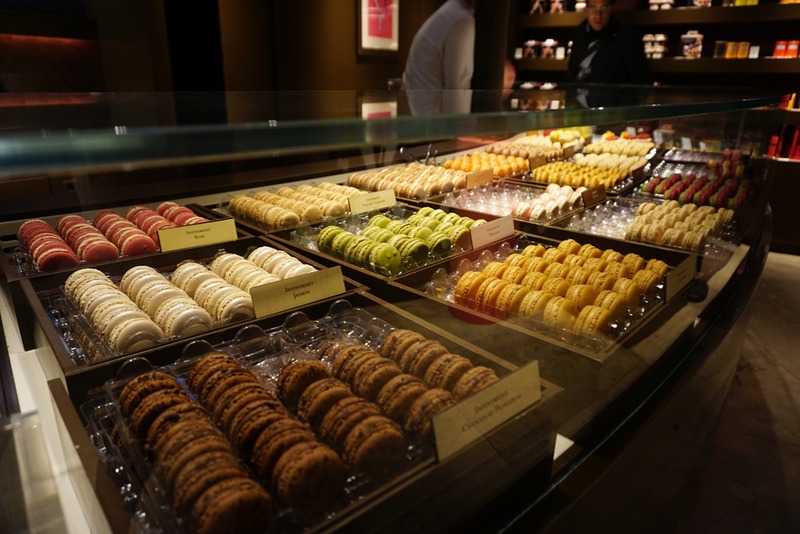 We all picked up some nice selections, including an amazing salted caramel fudge….. just yumm!! Why did I not buy more . From there it was only a couple of minutes and we were in the city centre, this place was sooo different, it had a great suburban feel to it, lots of street style shops/eateries, cobblestone paths, and just a pretty town! Unfortunately pics do not do justice to how good this place is, a must visit. For lunch we settled on Wagamama, Nita wanted something spicy and asian, this ticked the boxes. Lunch was good, then it was a short walk to our bus pickup point. 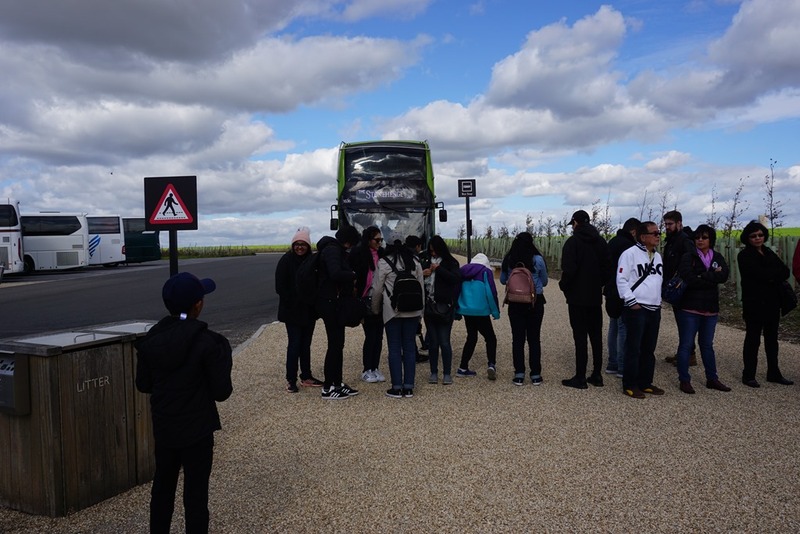 On the bus, and off to the Stonehenge, along the way slowly snacking on the fudge….did I say how yumm it was!!!! It must only have been around 30 minutes and we were at our stop for the Stonehenge. No view of the stones from here, first up, everyone was given a portable audio guide and then it was queuing up for the Bus that would take us to the Stonehenge. Being a very open field, it had a cool breeze which made it feel a lot colder than it was! Short drive to the Stonehenge and there it was, the circle of stones! We spent around an hour at the stones, it was then going back to the bus drop off zone, time to walk through the souvenir store and also a chance to recharge with some hot coffee. We got back to the ship soon after, it had been a long day, first to pack the bags and then meetup at the pool are for the final few cocktails, than dinner at the Oriental restaurant again, food there was brilliant. Did not hang around much post dinner which was already late, time to finalise packing of bags, we needed to have our main luggage out of the room by midnight if we wanted the ships porters to take our bags, else we would have to lug it ourselves! Final night, not the happiest moments . Relaxing day at Sea today. Another round of Bingo followed by a lazy day of eating by the pool with a lot of Cocktails. Which was then followed by girls having another saloon visit followed by an early dinner, pics on the top deck and more drinking with the gang! Early morning start, meeting everyone for disembarkment at 9am. It was a cold morning, around 4 degrees, forecast max of 14 degrees! All out of the ship by 9:15am, touring Hamburg ourselves, first to find Taxi’s to get to the miniature world which was not too far from our ship and on the way to the city centre. The ship had issued an advisory to allow extra time to return back as there were some protests that may delay transport, ok will factor that in, time to get the taxi’s. A lot of Taxi’s outside, language a bit of a challenge but nothing too difficult with a few pointers from google maps! Arriving at Miniature world, the tickets to the morning entries were all gone, we decided to book the 3:30pm slot for the afternoon, that would give us enough time to see Hamburg city centre. The City centre was a 15 minute walk from where we were, herded the troops and off we went in the direction that Google maps took us!. Walking is soo much easier when the weather is cold, it was a very pleasant stroll passing some good sights. Along the way, spotted a Starbucks and kids were “STOP!!! We need Starbucks”. Good pit-stop for all. Whilst there we asked the Indian cashier for some good Indian restaurants recommendations, we so needed some good indian food! He recommended Dostana, not too far from the City centre –that was noted! Walking continued, we ended in a very nice street with super nice ($$) stores good for window shopping only! Ladies found a kitchen store, where some did buy some German pots, Nita was interested in the knifes, not sure if the ship would allow that, decided to leave that for now. Walking further, we reached the central city centre (I think), overlooking the Alster Fountains. A beautiful lake or what looked like a lake atleast. Weather was clearing up nicely, lots of people around enjoying the cold sunny day. We were in the Square opposite the Townhall, the crowd was getting heavy by the minute, it was some protests that were attracting a lot of people. No point us hanging around there, trying to make our way of there and Balia gets stopped by TV crew to ask him about the sign he was holding!!!! 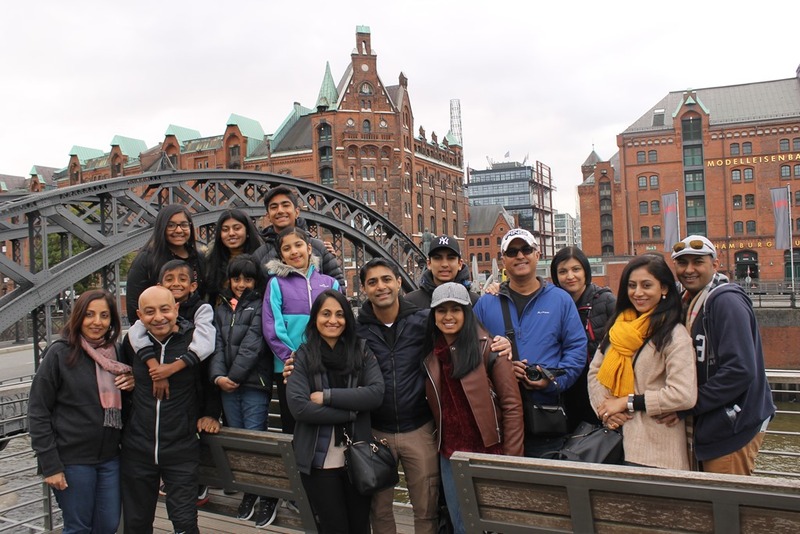 It took him a bit of translating but in the end we got the message across and they agreed to broadcast the invitation to all of the German khatri’s !!! German Khatri soccer team, you are invited to Brisbane 2020!. Time for some shopping, ladies had identified a large centre close by, all decided to waste an hour there. 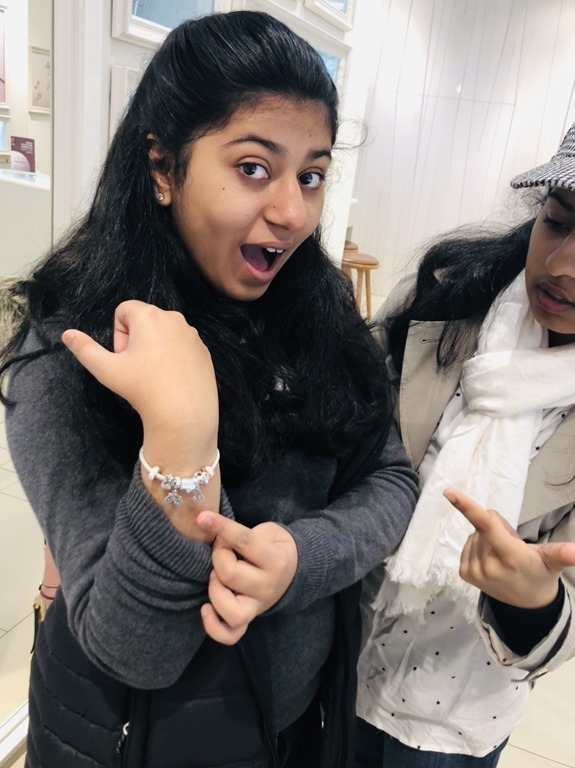 Pooja located a Pandora store which just happened to have a 20% discount on almost everything…..time to collect more charms. 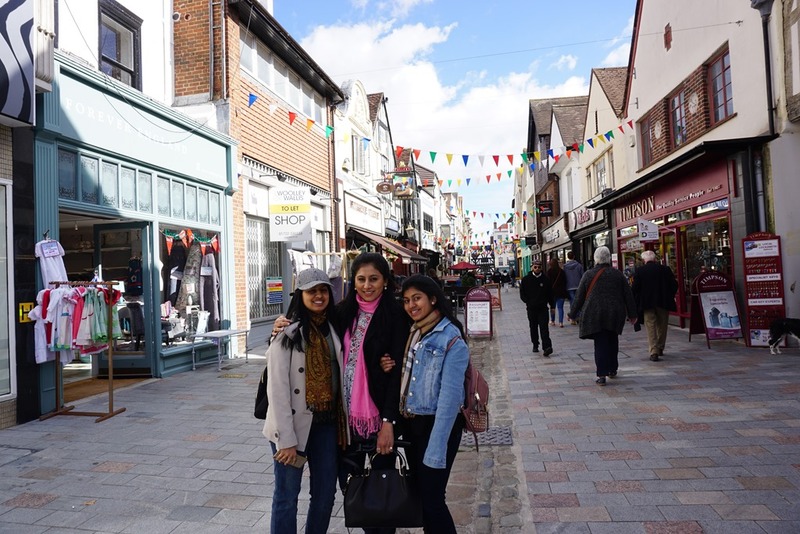 Shopping all done, and kids had got some McDonalds in them, time for us all to make our way to Dostana indian restaurant. Walk to the restaurant was not more than 15 minutes, some more nice streets we passed. Got to Dostana Indian, the place smelled good, finally some spice in the air! We were seated upstairs, am glad they were able to accommodate the 16 of us. Time to order some food, and we ordered a lot of varieties. We have had better indian but it must have been all that BLAND food we had been getting on board that we loved this change!! Tummies filled, time to hit the road, next stop was the Miniature world, for that we need Taxi’s and it seemed like a challenge here! The restaurant guy assisted and said he had ordered us 4 cabs, and we were to wait on the next corner. Did that for 10-15 minutes and no one came, made our way towards the main street and soon after Doc got lucky with one Cab. I started hailing cabs that were going past, but almost all were full . Balia suggested we all walk to the train station where more taxi’s would be available. Just as we started walking, I made a last effort to hail another Taxi and got lucky! Yelled to Vik and Balia to meet up at Miniature world and we were off. Arriving at miniature world, no sign of Doc, waited for a bit outside hoping Balia and Vik would turn up soon, not to be, turns out they were still struggling to find a Taxi, no one wanted to come this way due to the protests!! I rang Doc, he was already in the theme park, however his review was really bad, the miniature world was not that great. 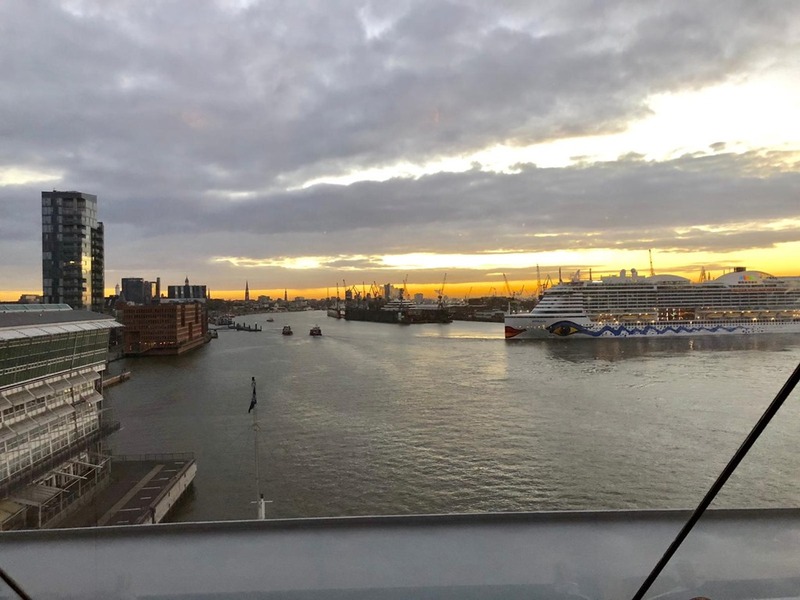 Calling Vik again to tell him of the bad review, Vik and Balia by then had decided to head direct to the Ship and miss this, they did not want to risk missing the ship incase of the protest blocking roads further. We decided to do the same and headed to the ship. Taxi was just around the corner, hopped in and headed for the ship. After only 5 minutes or less of drive time, we were in pretty much a standstill traffic jam. Another 15 minutes of very slow movement until we reached the road block from where the protesters had taken over the entire street. The driver indicated to me that it would be easier for me to walk THRU the roadblock and get to the ship, according to Google it was a fair walk – about 40 minutes, but he was like, only short walk!!! I was trying to explain to him to take a detour and go the long way, weird the guy just refused and asked us to walk. Well time to walk through the protest. The good part, it was not a violent protest, more like a street party, with a LOT of people, it was slow moving, making sure we held each others hands as not to separate away too far. Passing through a lot of load music, people drinking and dancing in the streets, yelling on microphones, all a bit intimidating for Neha and Pooja, and for us as well. Stayed to on side and kept on walking. Must have been around 1.5 km, until the protests finished and we could see cars and Taxi’s again. Grabbed the next Taxi and to the ship we headed. Drive from there was still a further 10 minutes! It was just after 5:30pm we made it onboard the ship, wow one crazy day. All met up at Deck 13, in the pool area, time for some drinks and to relieve the crazy afternoon session we all have had. For dinner, we remained at the pool area and simply brought a few trays of finger foods from the buffet matched with a never ending supply of cocktails and beer. It was a good JUNK food night. No need to have an early night, tomorrow was a day at sea, we could all sleep in. Stayed there for a few more hours before we called it a night. 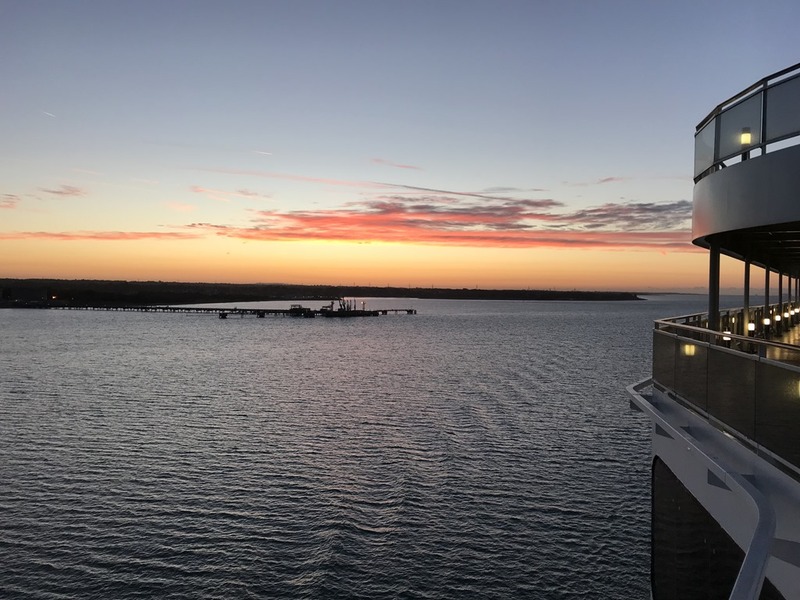 Relaxed morning today, at Sea till tomorrow morning – time to chillex and enjoy the ship facilities a bit. Finally a chance to have breakfast without the rush and watch the ship sailing out of Amsterdam to the sea. Did not realise how far in the port had been, took us close to 2 hours to reach the open seas. 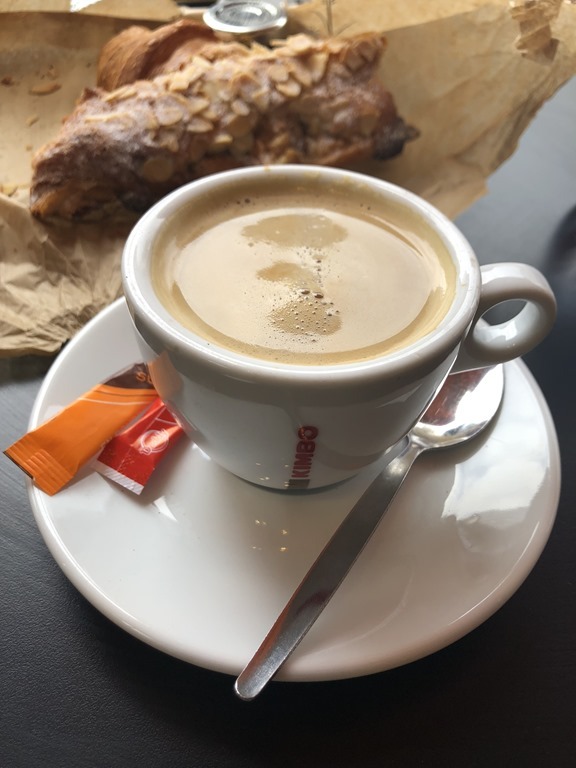 Breakfast done, than the gang were down to the swimming pool area, some of the girls were heading to the pool, whilst the boys were taking part in the table tennis comp, followed by Salsa dance classes in another bar area – all this before lunch! Table tennis comp was not that great for me, Dian and Prashil, we all got knocked out! The good news though, Doc won the comp!! Next at Tiger Bar for the Salsa dance classes, time to learn some Salsa moves! 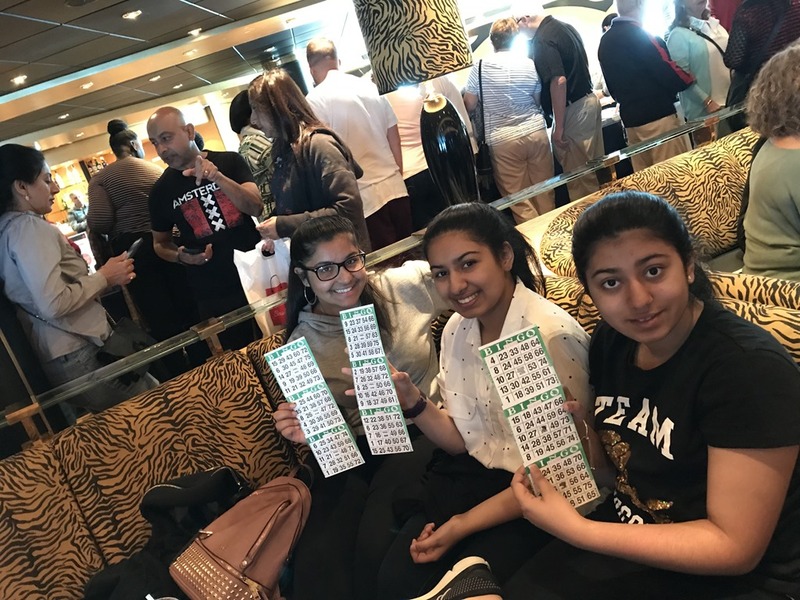 Neha & Pooja had a great time in that class, coming to midday, they announced Bingo was happening next, had not played that in ages, plus the added incentive – first prize of 25,000 EURO!! Bought three tickets, Neha, Pooja and Priya were managing my tickets, pity though, we missed first price by two numbers . Around lunch time we realised the other families were missing, unable to find them, headed to lunch at non-buffet restaurant, food was so so, however they did have good desserts! Something that is very frustrating is the inability for us to contact others! Unless you subscribed to the onboard wifi, there really was no chance of communications !! Next time we should bring in walkie talkies!! Time for all my girls to head to the beauty section, hair time! 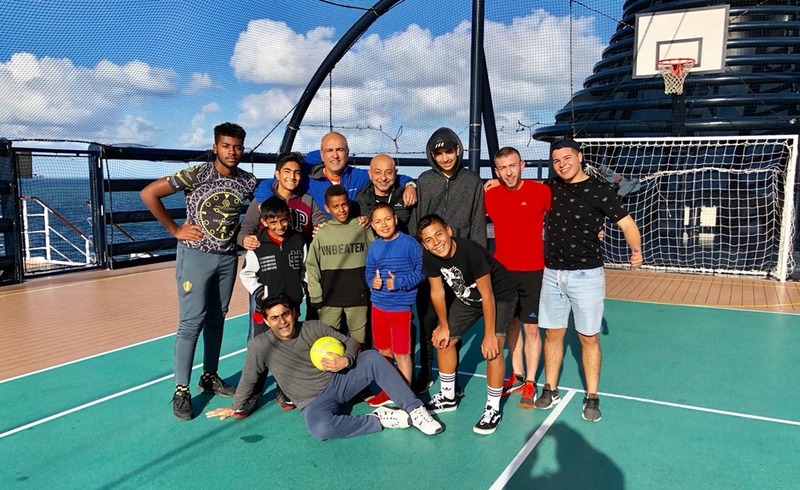 Whilst ladies were getting pampered, I headed to the pool desk to locate the others, found them at the rear of the ship on the top deck playing futsal! It was super windy and COLD! Joined in, in less than 15 minutes I was super stuffed! Post that I was walking around rather than running (my normal game ). It was dress up night again tonight, all back to the rooms and decided to meet in the lounge, then heading to the Oriental restaurant for dinner at 8pm. A few drinks waiting to get portraits done with the professionals, and did we all get a lot of pics! Pics done, time for Dinner at the Oriental. This place was amazing and had great dishes. Everyone enjoyed this immensely after the last few nights of bland food! Made a point of coming here again before the cruise finished. A few more drinks at the bar and then calling it a night. Tomorrow morning was Hamburg, we all wanted to be out of the ship by 9am. A bug leaves an interesting pattern in the sand.